It is also essential to wax onto a base that is clean from grease, dirt and old wax, otherwise your new wax will not penetrate the base. Free Gift is Wax Remover Wipes. 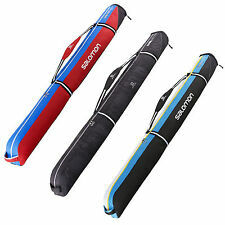 Carries two pairs of skis up to 185cms long plus poles. The Sports Emporium Double Ski Bag. Middle grab handles with velcro retainer. Padded mid section to protect bindings. Adjustable Padded shoulder strap. Free brake retainers included. Ski ViCe Quick SET- SKIMAN. Special rubber to grip the ski during base work. For tuning all types and shapes of skis. Light and easy to transport. High-tensile aluminium body pair of vices. It takes under a minute to treat 2 skis or a snowboard, and you need no specialist skills! How to use Zardoz NotWax - No tools required! Video Review. Open base of puck to reveal a bottle of Zardoz NotWax BaseBoost Teflon. 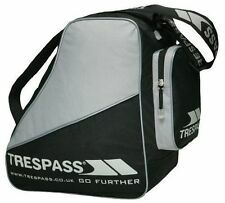 Carries up to two snowboards or two pairs of skis and poles up to 180cms long. The Sports Emporium Double Ski Bag. Easy roll wheels and end grab handle. Lockable zip, supplied with a small padlock. 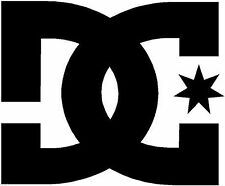 Santa Cruz Stickers - Screaming hand - 7.5cm / 3"
Our friendly & knowledgeable team are on hand to give expert buying advice. We are all skaters ourselves, this benefits you, allowing us to pass on useful information through our own experience. Don’t worry, give us a call, we'll be on hand to guide you through the products and find the right one for you. 5 out of 5 stars - Santa Cruz Stickers - Screaming hand - 7.5cm / 3"
1 product rating1 product ratings - Santa Cruz Stickers - Screaming hand - 7.5cm / 3"
· Butta Original Wax 200g – Just The Best Waxes Ever ! BUTTA ORIGINAL SCENTED WAX. Snowboard / Ski Tuning Wax Kit by Rebel Square. · Finishing Block – Your Secret Weapon For Speed & Glide ! · Ultra and Very Fine gives you the ideal prep and finish grades. Just light up and drip on to scratches on the base. Keep your ptex bases in perfect condition with the Black Repair Candles. 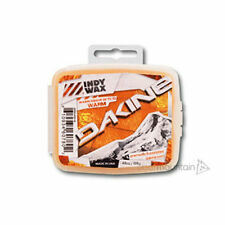 Butta Original Ski & Snowboard Scented Wax 200g. The Fantastic Butta Original Formula Wax. Butta Original wax is a more eco friendly than most other waxes on the market. Ride what the pros are, an easy iron on and scrape off wax. 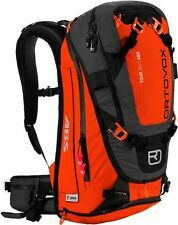 Dakine Heli Pro Backpack Ski Snowboard. Condition is Used. Used back pack Full of features. 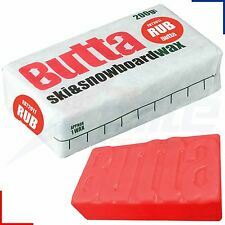 Butta Rub-on Ski & Snowboard Scented Wax 200g. Rub it on, scrape it off. You do not need an Iron to apply the wax, just rub it on and a scrape to get it off. Rub-on wax and then scrape it off. 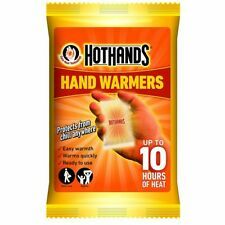 No heat required – HOW EASY! Kunzmann FK/SKS. FK Kunzmann Sports Products, Germany has been the source for edge and base finishing tools since 1960. Kunzmann's total focus is on bringing you the tools, the waxes and accessories you need to improve your on snow sliding experience. Ski & snowboard shoes fit back pocket. Want your boot bag to stand out from the crowd, then the Picture Organic Shoe bag is for you. 50% Recycled Polyester / 50% Polyester 900D. Why Use Snow Lab?. Lomo Blaze 100L Expedition Holdall. Made from PVC, it features an internal zipped net pocket to help separate gear inside. It also features 4 loop rows to tie it down if you want to use it on your motorbike etc. Price includes bottle trigger. I therefore strongly suggest that the included bottle and trigger are used for testing only and are replaced before first use. This repair gun uses 12mm repair rods, and superheats the material allowing it to fuse with existing P-Tex base material for the best repair possible. When the chamber is fully heated to 227°C the material will start to drip from the gun a little (this is normal). The Dakine Iron is intended for skis and snowboard, designed to glide smoothly over the base with creating any for of vacuum, the dakine make light of the task in hand giving excellent results. We will always endeavor to ensure you receive the parcel as soon as possible. Our Neo Rap is brilliant if you don't like carrying your snowboard under your arm when you are in resort. Body Armour & Pads. The Neo Rap also makes for easier carriage of secondary snowboards by racers or park players. In great condition as only used 3 times. Can fit in a snowboard and lots more. Is just over 200cm long. Any questions please ask. Please look at my other items. I will combine postage. 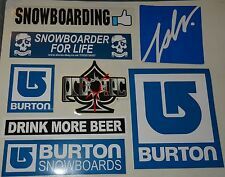 It will look great on your, snowboard, skateboard, locker, window or anywhere you want to put it. Easy to apply, long lasting ,easy application. Just peel and stick. The sticker is die cut and the surface you mount the sticker to will be the background colour. Nike Acg Karst 40 Snowboarding/ Hiking Backpack with Snowboard Carry Function. ski Rucksack. Blue and black. Multi function including Ski–board carriage.